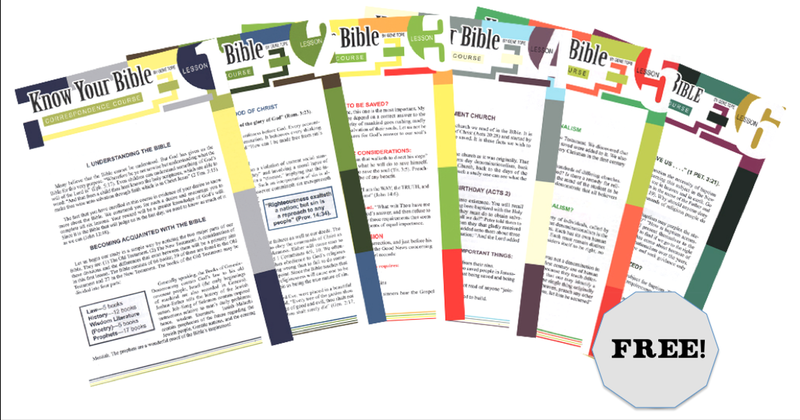 Do you know your Bible as well as you would like? Now is a good time to start learning more. Bible study can be entertaining, but it is also beneficial to our daily walk (Matthew 4:4) as well as critical to our eternal destiny (John 12:48). Please accept this challenge to test and increase your Bible knowledge. The Green Oaks Church of Christ invites you to participate in a FREE Bible Study Course. This study consists of six lessons and can be completed from the comfort of your own home! There is no cost or obligation. Why not enroll today? ​To enroll now, simply fill out the form below and your request will be emailed to us and we will respond as soon as we can. Be sure to check out the rest of our site as well!